Writing a persuasive speech needs extra-special planning and consideration to be successful. In my experience, this is not the type of speech that can be flicked out in five minutes! There may be brilliantly competent speakers who can do it but the rest of us, me included, have to put the time in to achieve what we want to. To help you through the entire process from beginning to end, here's a 7 step checklist. To get the most from it move through the list sequentially. You'll find links to topic suggestion pages, explanations about how to structure your speech and the importance of audience analysis with examples and more. 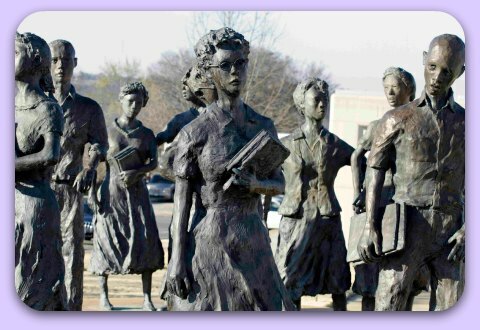 The "Little Rock Nine" sculptures, Arkansas, USA, commemorating nine students who, in 1957, risked their lives for the right to receive an education. Find out more by clicking the image. There's more than one persuasive speech topic in this story. If you've already got a speech topic move on to setting a goal. For those who don't have a topic read on. A major part of the perceived difficulty around writing a persuasive speech is choosing a topic. 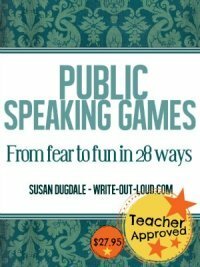 If you're preparing the speech as part of a class exercise or for a public speaking club like Toastmasters you have seemingly unlimited choice. And that can be bewildering! The possibilities are vast. How do you narrow them down? The answer is to choose something that you genuinely care about, fits the occasion AND that you know your audience will be interested in. The goal of writing a persuasive speech is to change or move the audience toward accepting your position on the topic. An essential part of that is knowing exactly what it is you want to achieve. There are degrees of change. Do you want a little, or a lot? What you decide is called your most wanted response or MWR. A realistic MWR is reached through analysis of your audience in relation to your topic. Example: My topic is "obesity in children". I am speaking to mothers whose children all attend the same kindergarten. The staff are concerned about the number of children who are over weight for their age. The children mostly come from homes where both parents work. Food is bought already made up for a variety of reasons including time saving, convenience, and a lack of knowledge of preparing it any other way. 'Treat' food (sweets, cake etc.) is also used to pacify and/or to reinforce good behavior. Fussy or picky eating is allowed principally because the effort and time required to change already established patterns is difficult to find. The problem is compounded by lack of exercise. In setting the goal (MWR) for the speech I need to decide what approach will achieve the best results. 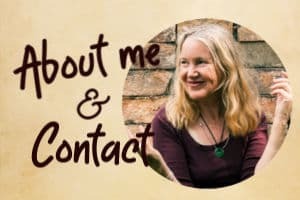 Do I want to influence the mothers to open their minds to the idea that allowing a child to establish habitual unhealthy eating patterns is detrimental to their children's growth and development? Or do I want them to stop using treat and pre-prepared foods immediately and only offer home cooked healthy options instead? The first approach is softly-softly. The second is direct or hard hitting. How you persuade, and your MWR (goal) is most effectively established when you understand who you are talking to. Neutral - no decided opinion or beliefs and therefore no investment toward maintaining the current state or moving toward a new one. This is the middle ground. Motivated - actively seeking to change. These people are already aware of the 'problem' and are looking for solutions. They want to hear what you have to tell them and are likely to be already and convinced of the rightness of your solution. Aside from their anticipated baseline attitude, (hostile, neutral, motivated), toward your speech topic, what else would be useful to know about your audience? The more you can find out, the more you can tailor writing a persuasive speech (including tone and language choice), and your MWR to fit. For instance, going back to the obesity in children example above, we could decide that given what we've found out about the audience, the hard-hitting approach would generate too many obstacles to overcome. Therefore we will be writing a persuasive speech with a non-threatening MWR that has mothers accepting a pamphlet on children's healthy snack choices to take home. Where possible draw your examples from local material. The reason is that we are more likely to care or respond when we actively know who or what is involved firsthand. We identify, and the more we identify the more invested we are in finding a solution. The situation becomes real to us and we care. Writing a good persuasive speech means finding credible evidence to support your argument. Seek out reputable, reliable, quotable sources to back the points you make. Without them your speech will fail its purpose. Persuasion is a synthesis of emotional as well as intellectual appeal. Emotional content will be dismissed unless it is properly backed. Conversely purely intellectual content will be dismissed if it lacks empathy or feeling. You need both - in equal measure. Seek out and address the opposition's arguments, or obstacles in the path of adopting your course of action, fairly and respectfully. Find the elements you share. Openly acknowledge and be clear about them. This builds credibility and trust and as a result your points of departure are more likely to be listened to. Once you've decided your topic and its angle, done your audience analysis, fixed what you want to achieve (MWR), researched for evidence, and addressed the obstacles, you're finally ready to begin writing. What pattern or model will you use? Have a look at each of the four below to see which best suits your topic, speech purpose and audience. This is a tried and tested model developed in the 1930's by Allan H Monroe. 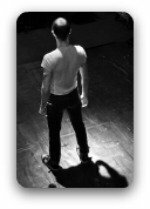 Monroe's Motivated Sequence follows the normal mind-flow or thought sequence someone goes through when someone else is persuading them to do something. 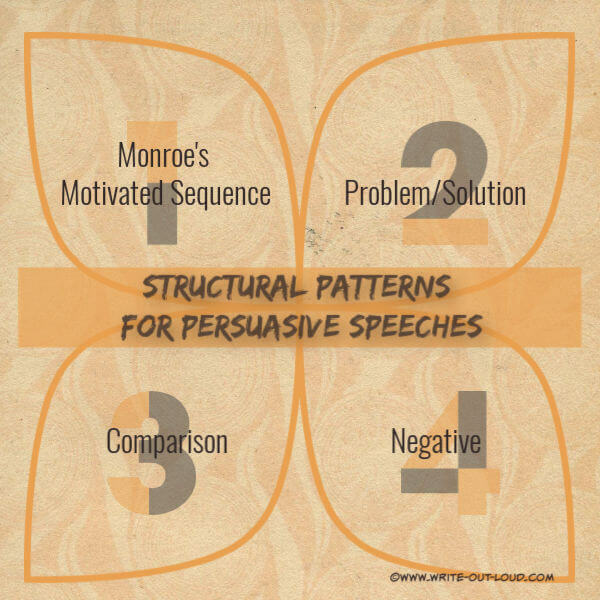 You can find out more about the steps involved in writing a persuasive speech using Monroe's Motivated Sequence here. And read an example persuasive speech written using the method. This is a two step pattern. The first part outlines/explains the problem and the second provides the solution which includes meeting the obstacles and giving evidence. In this pattern the method is to compare an item/object/idea/action against another similar item/object/idea/action and establish why the item/object/idea/action you are supporting is superior. With each comparision point compelling, relevant evidence is provided and obstacles are met. In this model the reasons why you are against the opposition of your chosen topic are highlighted. Each negative reason is backed with evidence. One piles on top the other creating an urgency to solve the problem. Your positive solution coming at the end of the speech clinches the argument. For more about delivering your persuasive speech persuasively please don't overlook these pages. They are gold! Writing is a only part of the process. How you deliver completes it.